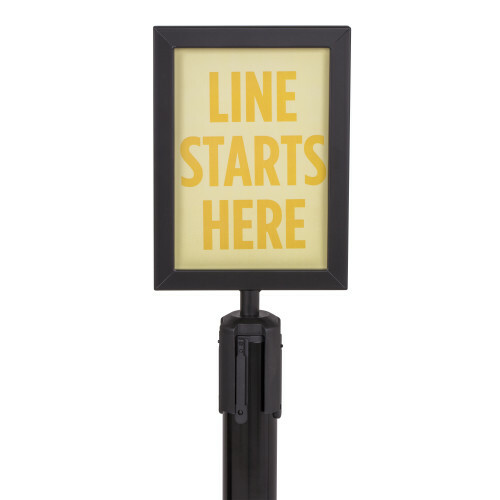 Get your message across by adding a sign holder to the top of your US Weight stanchion. Advertise specials or efficiently direct consumer traffic through your queue. Shown with U2102 black steel stanchion (not included). Only for premium steel stanchion.